Sandy & Patrick farm just outside of Choma in the Southern Province of Zambia. The farm is 2600Ha, 200ha of which is cultivated and farms tobaco, maize, 600 cattle and has a small dairy. The farm supports between 70 and 100 workers and their families (some 1000 people, 600 of which are under the age of 12), from small villages in the surrounding area. There is a small pre-school on the farm and a clinic which is supported by the District Health Centre. The farm received a shoe delivery from a privately held collection in October 2013. A second delivery of shoes was sent in January 2014. 92 children under the age of 7 from 37 different families each received a pair of shoes. The shoes distributed were from a collection at Abbeywood Grange Day Nursery in November 2013 and from private collections held by Charmin and Sam. Siachitema Mission and orphanage was founded by Claudia Peyton, an American Missionary in 1938. In April 2014 the shoes donated to Stripey Stork in January 2014 were handed out to the smaller children at the Mission. From Darkness into Light, Claudia Peyton: Forty-Six Years in Africa compiled and published by Rev. Don McMellon. The Mother Theresa Orphanage and Centre in Lusaka, Zambia was founded 23 years ago and now consists of a cancer ward, a school and boarding facilities for up to 94 children. Many of the children are orphans or from single parent families where the parent is now being treated in the cancer ward. The orphanage strives to keep a low profile and maintain the teachings of Mother Theresa. The orphanage does not solicit any donations. Anna is a U.S. Peace Corps Volunteer who has been living in Lusaka, Zambia for the past 3 years. She volunteers at the Children’s Oncology Ward at the University Teaching Hospital where they are currently providing life-saving cancer treatment for 36 children. The ward received a delivery of shoes from a privately held collection in November 2012. In August 2014, 225 pairs of shoes collected at Direct Line Group, Electronic Arts, Christopher Robin Day Nurseries, Coulsdon Colts FC and Sing Along, and from private donations by Dan, Niamet, Amy, Emma, Donna, Shahpar, Kate, Laura, Christy and Sal himself, were sent to the Zambian Cancer Society. On the first day of distribution 40 children on the children’s cancer ward were each given a pair of shoes alongside a sweatshirt generously donated by Harris Primary Academy Benson from their now redundant Benson Primary uniform stock. This ward is the only children’s cancer ward in Zambia. In November 2014, the children’s oncology ward at the University Teaching Hospital, the only ward of its kind in the whole country, received another delivery from Sal’s Shoes. We are increasingly becoming involved in sports projects that encourage positive social change. We were delighted to have the opportunity to collaborate with www.npac.org.uk in kitting out some of the teams that form the Mfuwe Junior Football League in Mfuwe, Zambia. The kits donated by NPAC and the football boots from donations to Sal's Shoes were handed out in December 2015. The teams play every Saturday (and sometimes more often) but often get together after school to practice. The boys have to stay out of trouble and do well at school in order to stay in their team. Every single student in grades 1-4 at Mfuwe Primary School in Zambia received a pair of shoes in November 2015. A thank you letter from the headmistress this confirmed great excitement at the school and 768 very happy children. In July 2016 Sal's Shoes found lots of little new feet with https://feedthehungry.org.uk/ at http://www.tebuhomulalafoundation.org/ based in Mulonga Compound just outside the town of Mazabuka in Zambia. In July 2016, Working in collaboration with http://www.npac.org.uk who provided the kit, Sal's Shoes football boots found their new owners amongst the senior team in the South Luangwa football league in Zambia. In July 2017 some of the specialist footwear you've been sending us started finding their new feet with the www.bethanychildrenstrust.org.uk in Zambia. Wukwashi Wa Nzambi, works with extremely marginalised children living with disability on the Copperbelt and beyond, providing support groups, training in physiotherapy, access to operations and other medical interventions, artificial limbs and mobility aids and schooling opportunities. They also raise awareness and challenge the stigma surrounding disability. They had an urgent need for therapeutic shoes to help children to walk safely. In January 2017, Sal's Shoes offloaded and found new feet amongst the 115 children at the Makeni Orphanage in Zambia with http://www.npac.org.uk. In January 2017, Sal's Shoes arriving in Lusaka, Zambia with http://www.npac.org.uk the container will remain on site as a secure store. Orphaned and vulnerable children at the Asher Jewel Trust School in Zambia all received a pair of Sal's Shoes in January 2017, thanks to http://www.barakacommunity.com. Thanks to http://www.barakacommunity.com your Sal's Shoes trainers found their new feet amongst the Chawama U-14 running team in Zambia in January 2017. Team Captain Rapheal Siame had a special thank you for you all: "I never thought I would ever have a sports shoe which I can use when running and doing other things; at times we miss training after stepping on sharp objects which people throw around, thank you Sal's Shoes ". At the end of 2016 we partnered with http://www.shermanshoeboxes.com in Lusaka, Zambia to launch our first in-country collection & distribution in Lusaka, the capital city. In January 2017 your pre-loved shoes alongside those donated in-country by individuals, and students from Lusaka International Community School http://www.lics.sch.zm and the International School of Lusaka http://islzambia.org, started finding their new feet at The Daughters of Zion Orphanage, home to 17 girls and 2 young boys. The orphanage grows vegetables to keep the children fed and sells the excess to raise funds. In January 2017 new feet were found with http://www.shermanshoeboxes.com at WONS Ministries, an impoverished orphanage in Matero Compound, Lusaka, Zambia. Sal's Shoes found their new feet in Ndili a settlement area in Zambia with http://www.barakacommunity.com in January 2017. Over 200 Grade 1 & Grade 2 pupils at Ndili Primary School [a rural school located about 180 km north of the capital city Lusaka] received a pair of Sal's Shoes. The parents, mainly subsistence farmers, who helped to build the classrooms that form the school, were 'so delighted as they cannot afford shoes considering the nature of work they do'. In January 2017 Sal's Shoes were finding their dancing feet with http://www.shermanshoeboxes.com in Zambia. 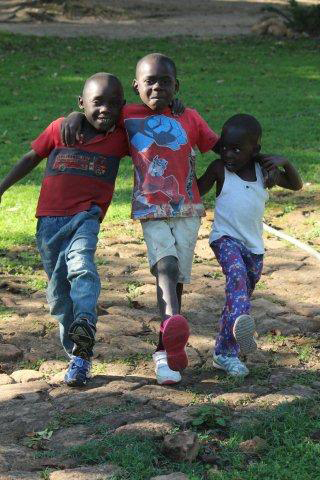 Sal's Shoes went back to the playground at Kondwa Day Care Centre in Zambia with http://www.shermanshoeboxes.com in January 2017. Finding new feet in Zambia with http://www.barakacommunity.com in March 2017. Over 200 pairs of Sal's Shoes found their new feet in Chitukoko, Zambia with www.barakacommunity.com in April 2017. The poverty levels amongst this community of subsistence farmers are high and most families survive on the equivalent of £1 a week. For many of these children these Sal's Shoes were their first pair of solid soled shoes to protect their feet from the rocky landscape where they now live after being evicted from farm land, and also a means to attending school and gaining an education. In many countries whilst the education system is free you cannot attend school if you do not own a pair of shoes. 230 children in an orphanage in the suburb of Makeni in Lusaka, Zambia received a pair of Sal's Shoes in May 2017 thanks to http://www.npac.org.uk. In July 2017 Sal's Shoes found new feet in Zambia with http://www.npac.org.uk. Shoes were distributed at the Beautiful Beginning Outreach Relief Orphanage [known locally as Makeni Orphanage], which is home to 150 vulnerable children. In July 2017, http://www.salsshoes.com/back-on-the-pitch/ ⚽️ amongst the Mfuwe Junior Football League in Zambia thanks to http://www.cartyorkshire.co.uk. Some of the specialist footwear you've been sending us found their new feet with the www.bethanychildrenstrust.org.uk in Zambia, Wukwashi Wa Nzambi works with extremely marginalised children living with disability on the Copperbelt and beyond, providing support groups, training in physiotherapy, access to operations and other medical interventions, artificial limbs and mobility aids and schooling opportunities. They also raise awareness and challenge the stigma surrounding disability. 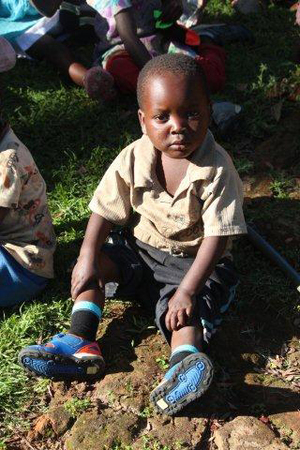 They had an urgent need for therapeutic shoes to help children to walk safely. Sal's Shoes are starting to walk again. In September 2017, thanks to http://www.npac.org.uk, Sal's Shoes went back to school at Mikomfwa Basic School in Luanshya, Zambia. The vast majority of students at this desolate school in a poor mining area are incredibly vulnerable and are orphans or living on the streets with their mothers and siblings. In October 2017 some of your Sal's Shoes specialist footwear found new feet with the www.bethanychildrenstrust.org.uk in Zambia. Wukwashi Wa Nzambi, works with extremely marginalised children living with disability on the Copperbelt and beyond, providing support groups, training in physiotherapy, access to operations and other medical interventions, artificial limbs and mobility aids and schooling opportunities. They also raise awareness and challenge the stigma surrounding disability. They had an urgent need for therapeutic shoes to help children to walk safely. 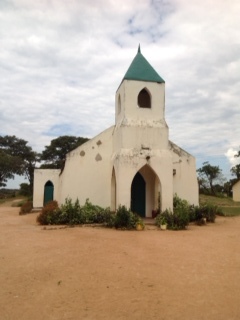 Thanks to http://www.npac.org.uk, in October 2017 school furniture and Sal's school Shoes went to Buelani Community School, a remote, village school, in Eastern Province, Zambia. Thanks to http://missiondirect.org, in November 2017 Sal's Shoes found new feet in Zambia with https://vohafrica.com. In January 2019, Streetlife Orphanage and Dayspring Academy and Pre-School in Zambia 🇿🇲 [the country where Sal’s very first pair of shoes found their new feet], where your Sal’s Shoes have just started walking again.